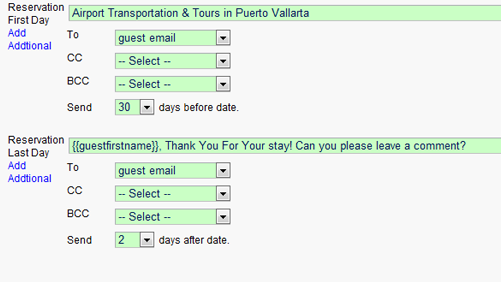 Email templates that populate with reservation information make it easy to keep in touch with your guests. Create as many templates as you need. Not just for email, templates are great for printing check-in forms, receipts. Use HTML in the templates to add bold, color, and other styling. No more creating emails from scratch; templates are a huge time saver. 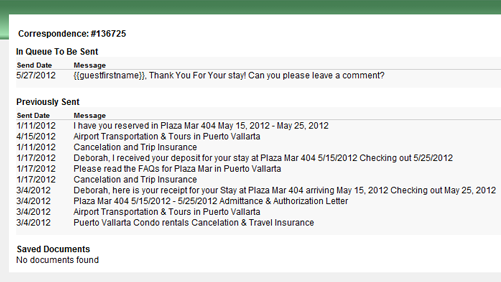 Reservation information fills in automatically. Set up an email schedule to automatically send messages. Select from a variety of merge codes. 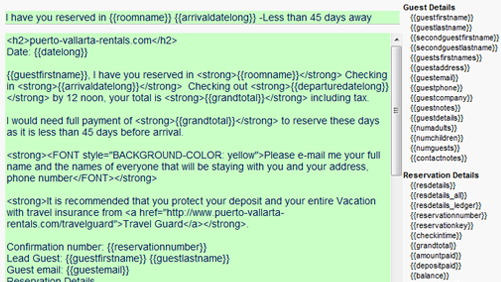 When message is sent or printed, reservation information replaces the merge codes. Create your own merge codes for custom fields. Send or print messages with one click. When you need to manually send messages. Or open the message to edit it first, or save to queue for later delivery. History & Queue keeps track of correspondence for you. Easily see what has been sent, and what is still in queue to go out later. It is easy to edit messages in queue, or remove them. Create Email Schedules to set which messages are sent when. Add additional emails to a triggering event; set different CC or BCC email addresses. You're on number 4 of 24 reasons to use ReservationKey. 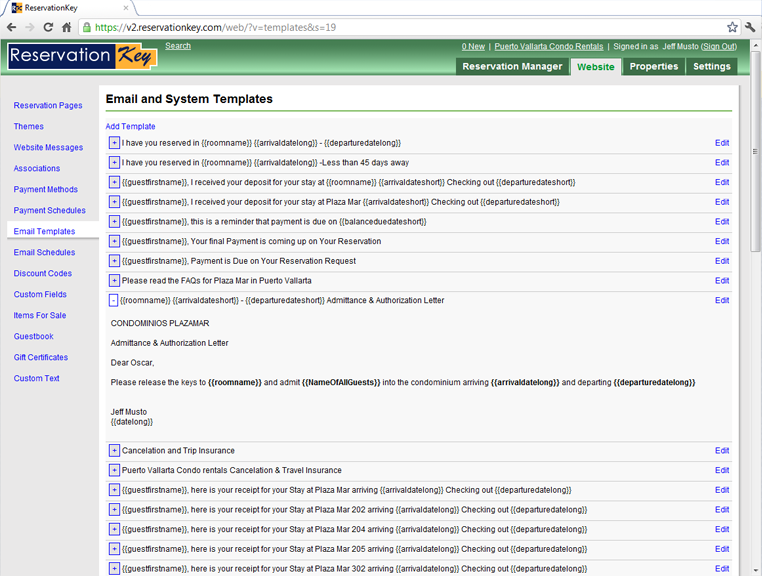 "I love the email templates and the way you're exposing the database fields -- brilliant. I really am impressed with how intuitive the interface has been, and how open you are with the code, CSS, etc. It's really refreshing."